Kris Van Puyvelde and Frank Boschman first met at university in Antwerp Belgium while studying to become engineers. Many years later in 1992, they met up again, each wanting to start their own business. Together they wanted to start importing teak outdoor furniture from Indonesia; however, they quickly discovered that the products were of poor quality and were manufactured only in a colonial style. Undeterred, they decided that they could create better designs and improve the quality of the furniture. 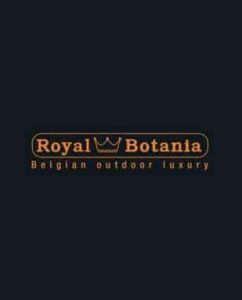 Within days the company was formed and named Royal Botania, an allusion to both the natural beauty of lush botanical gardens and the matching supreme “royal class” furniture they were about to create. Initially the focus of Royal Botania was to fuse superb quality and refreshing designs made out of teak wood. Quickly the company became internationally synonymous for luxurious quality and design. The reputation and brand name gained worldwide recognition. This success led to new outdoor furniture collections being designed as well as to the launch of outdoor lighting and bathroom furniture lines. The team expanded and soon introduced lines made of new materials such as stainless steel, aluminum and synthetic fibers. 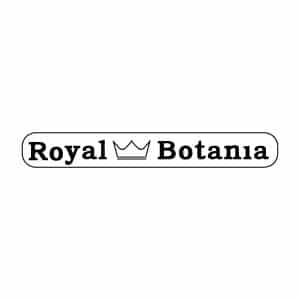 21 years later, Royal Botania employs over 800 people worldwide, with over 50 located at the head office situated in Antwerp, Belgium. There is also a 100,000m3 large warehouse that stores all of the products before they are carefully sent out to many happy customers worldwide. Over the years, Royal Botania has earned an acclaimed reputation for creating the most refined, diverse choice of outdoor collections in the world. The individual ranges use a wide selection of different materials, as well as being designed and manufactured to offer a perfect blend of precision and functionality. Our company goal is to meet the individual needs of our customers. For devotees of aesthetic refinement our dedicated team has created a line of exceptional products. The successful blend of precision and functionality is aimed at fulfilling each and every wish of our privileged customers. To achieve this, our full focus is on quality in every single step; from the creation , to production, distribution and after-sales service. No detail is overlooked. As a wise man called Leonardo Da Vinci once said; details make perfection, but perfection is not a detail. When it comes to the materials, only the very best is good enough. After all our products are sold worldwide and must therefore be as resistant to the desert heat in Dubai, as to the Canadian winters or the high UV-exposure under the Australian summer-sun. Only carefully selected mature teakwood is used, all of it harvested in strict accordance with our environmental policies. This means, or originating from plantations, or harvested in strict accordance with the “sustainable forest” policy, promoted by the WWF. As “only the rocks live forever,” even a Royal Botania product will one day come to the end of its life. Even though that sad moment is most probably generations away, we keep that day in mind when we develop today’s products. All metal and manmade materials in our collections are nearly 100% recyclable, and natural materials such as wood and stone are infinitely exposable to the elements without harming our children’s inheritance: this precious planet. Environmental issues are one of the main principles of Royal Botania’s business governance. That’s why we have direct control on the environmental and social impact of our manufacturing process. Happy Easter !! The sun is out so you can enjoy some time outdoor with your loved ones !! March 7, 2019ROYAL BOTANIA: Let's dream about warm summer nights !! NEED MORE ROYAL BOTANIA INFORMATION ?